join us for some island fun! Dinner will be served daily. 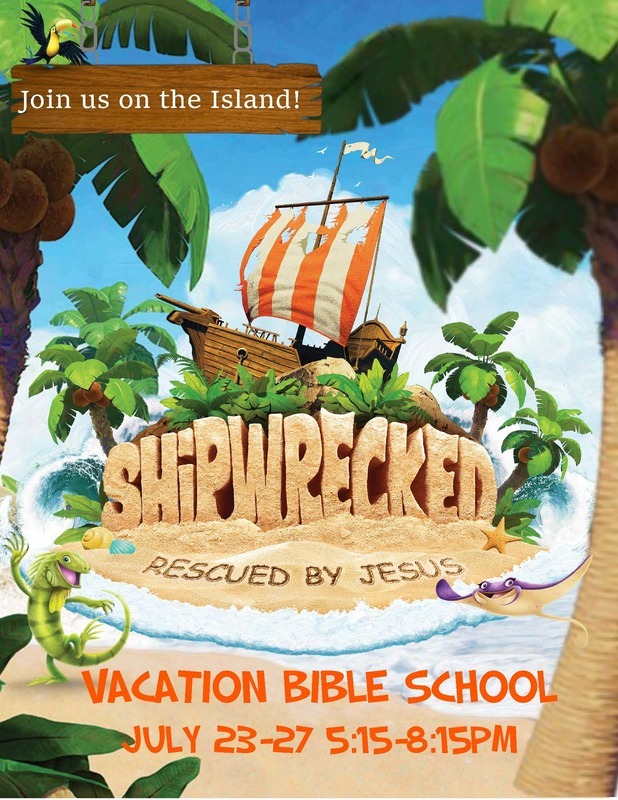 Your help is needed for VBS! Did you know it takes almost 30 volunteers each year to run our Vacation Bible School? Often when I ask people to help, they share that they just don’t feel comfortable teaching kids. They don't think they would be good at it. What most don't realize is that the teaching part of VBS is a very small part of a much bigger puzzle. From purchasing supplies, to organizing registration, working in the kitchen, making phone calls, or helping lead worship there is something for everyone! Please register as a volunteer below. Tell us what you'd like to help with.